My personal reviews on the books or movies i read or watched. If tragedy had a smell, if the ache of suspense and looming finality had a defining odour; it would be the smell of burning flesh. Trust me when i say that i’m not usually drawn to such violent visuals, but there’s something about Roger Smith’s offering that had me pining over every shot fired, every throat slit and every life lost. 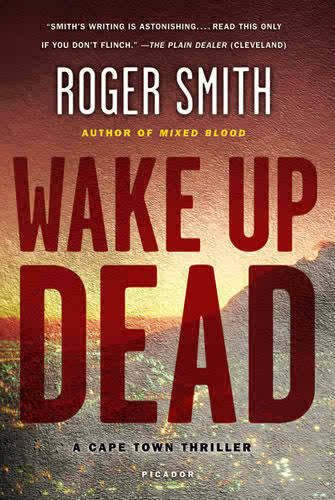 Don’t get me wrong, i love me some thrilling plots and shocking twists, but there’s something ‘unmasked’ about Roger’s portrayal of the Mother city, Cape Town, and its underpinnings. If i wasn’t struck dumb by the frightening things that people actually do, i was nodding furiously and sighing brokenheartedly at some of the real and relatable struggles they go through. The moment i read the blurb at the back of this particular literary offering, i knew i had to get it. “On a blowtorch-hot night in Cape Town, ex-model Roxy Palmer and her gunrunner husband, Joe, are carjacked, leaving Joe lying in a pool of blood…” Not the kind of words I’d be enamoured by, but i had to have it. Call it emotional masochism, but i had to suffer through what i assumed would be an almost unbearable cringe-fest. 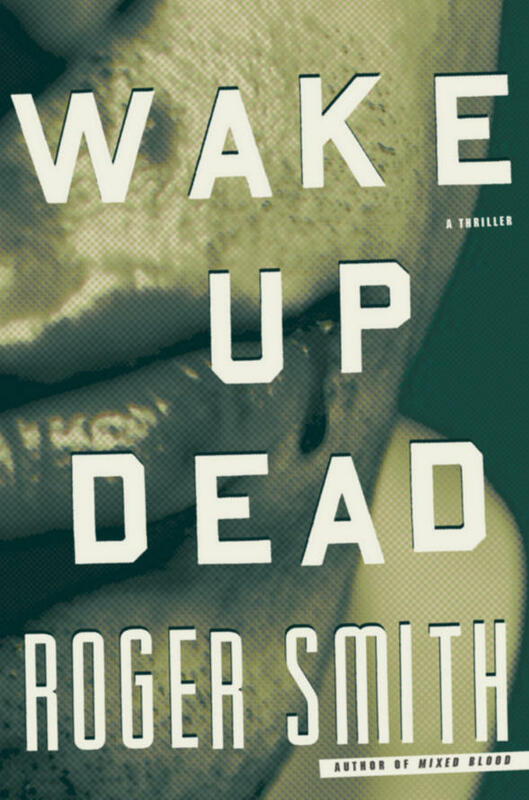 The day i decided to start reading “WAKE UP DEAD” by Roger Smith, i expected it to be familiar. Having lived and studied in Cape Tow for three years, i expected to recognise many of the locations and the language used in the book. 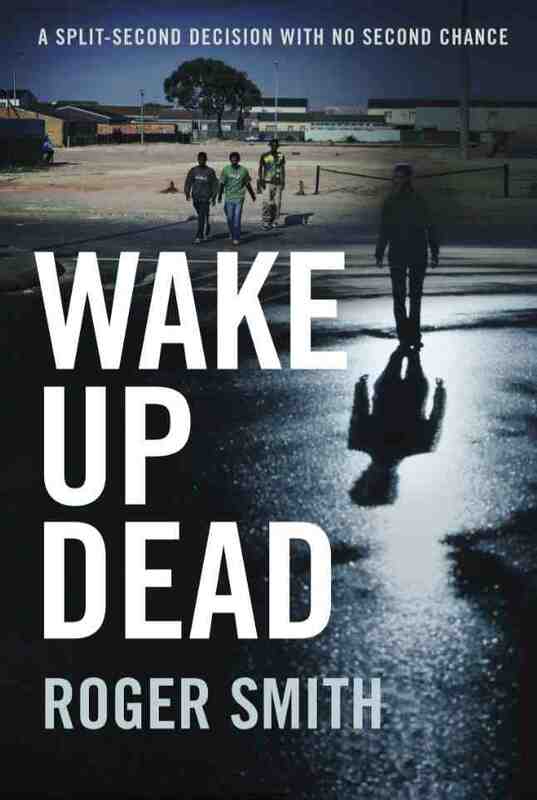 What i didn’t expect was to be taken on a very real, very frightening and very exhilarating journey across the gang-littered planes of the Cape Flats and the affluent community of Camps Bay. I must admit, due to my sensitivity i had to close the book for a good day or two before i steeled myself for another go, but when i returned i was left breathless and panting for more. From the get go you’re left wondering what a beautiful woman such as Roxy would be doing with such a tasteless, unlikable man such as Joe. Then it hits you, like a stray bullet, Roxy seizes an opportunity and shoots her husband dead. The events thereafter are nothing short of astounding. The contrast between Camps bay and the purchased ignorance the wealthy enjoy behind high walls and electric gates and the desperation and communal suffering of the men and women in the Cape flats, is unmistakably accurate that you feel as though you’ve seen those faces, heard those cries and walked through those streets yourself. I couldn’t help but think of ‘The Great Gatsby” and the East and West egg contrast, albeit the context differs but the underlying elements are striking; two societies similar in the sense that money places them in the same and different strata at the same time. I could hear the rough Cape Town accent being spat out by the ravenous members of the 28’s gang and i could see the languid opulence enjoyed by the men and women living in Camps Bay. Sure there was violence, it’s a book that’s rooted firmly on the existence of violence, it celebrates it quite well. From Roxy being blackmailed by the two carjackers, to her being held hostage in her own ransacked home, to Billy Africa (one of Joe’s employees who returned, looking for his missed payments) being led to an unanticipated revenge to the murder of several blond women on the beaches of the wealthy, this story wears tragedy well and it has a sense of it never ending. When it rains, it pours and this book proves this point well. It’s oddly Shakespearian in its culmination though; how the accidental murder of a gang leader’s daughter sews the seeds of a fateful gang war and everyone and their mother dies in the crossfire. Roger has an uncanny ability to make you fall for evil and the wrongdoers. You know that Roxy is a murderer but you feel for her. You know that Disco is a tik-smoking criminal but you feel for him and his story and unwillingness to remain the wife of a prison gang leader. At the very end, however, you’re left feeling slightly satisfied but parched for more. How will Roxy leave the country? How will she leave with the child of the deceased cop? And so on and so forth. Make no mistake about it, this book is a tragedy. It’s a thrilling tragedy but its core rests on a very African tragedy. Death is rampant and it’s here to stay. We have wars on our doorsteps, in our bedrooms and amongst our families and the tragedy is in how we’ve come to accept this as life. The book itself is a must-read; not for the faint of heart but a definite read for South Africans and anyone whose heart resides in Cape Town. You’re left aghast at how real and how honest the story is and in all this, you’re left understanding that no matter how beautiful Cape Town is, it’s still Africa.